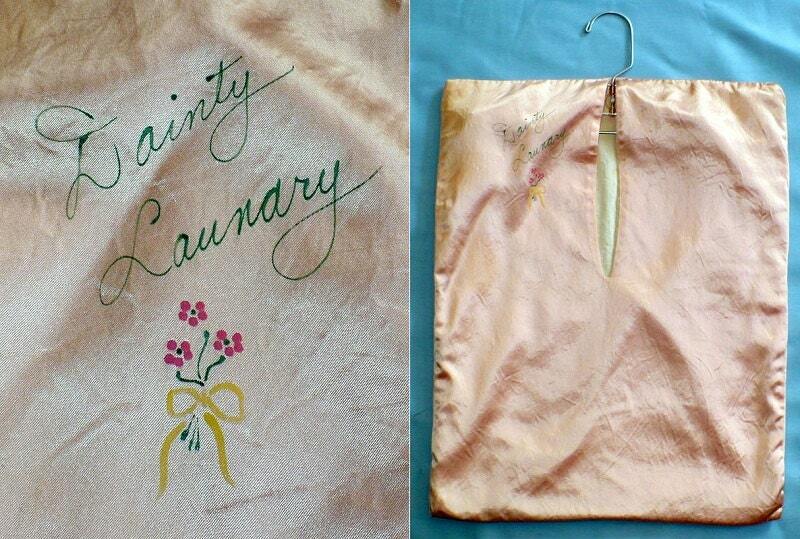 Authentic vintage 1920's pink satin "Dainty Laundry" bag. 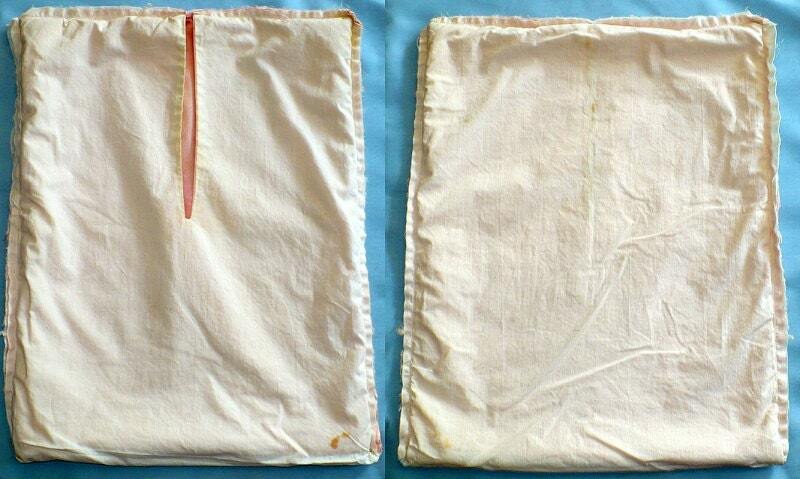 Lined in cotton. 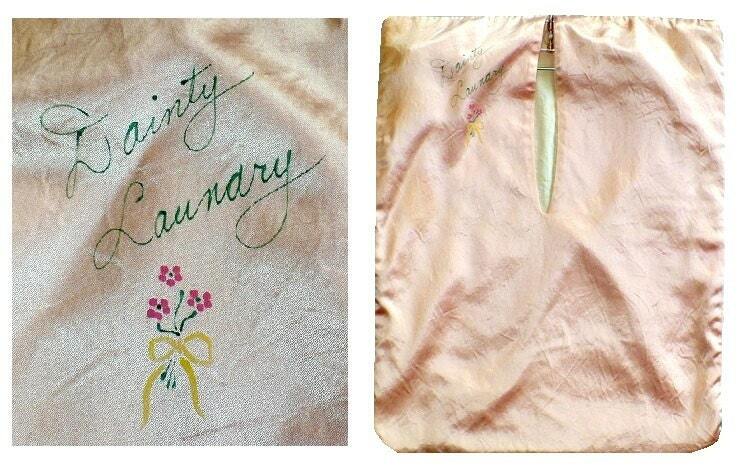 Lovely boudoir laundry bag for all your sweet nothings. 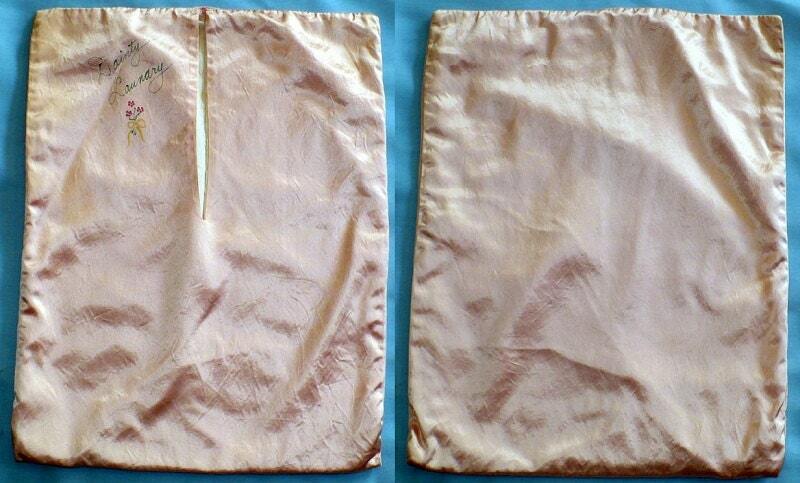 Please note the pants hanger insertion is for display purposes only and is not included.